PlayerUnknown's Battlegrounds' first map Erangel will undergo changes with most of them targetted at addressing the loot balance of the map. PUBG Map Erangel is the first map in PlayerUnknown's Battlegrounds, which was released two years ago to the general public. Spread over an 8 km X 8 km island, Erangel features a combination of cities, small towns, a power plant and a military base, and is still a joy to play. The map hasn't received an update since its launch, which ensured that Erangel felt dated when compared to the other maps available such as Sanhok and Vikendi. 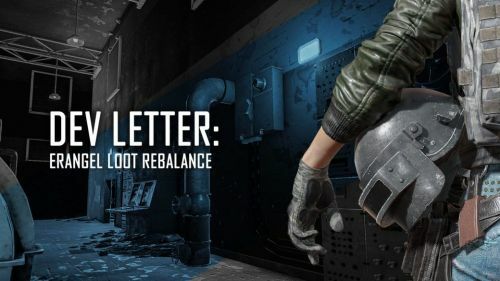 In a letter, the developers addressed that they would introduce changes to the Erangel map to bring it on par with some of the more recent maps in PUBG. Primarily, the development team, after looking at tonnes of player data, would be looking at the item spawn rates to ensure that players find more weapons and equipment on the classic map. Item spawn rates of weapons and equipment would be increased while the spawn rates of pistols, magazines and grenades would be lowered. The letter also addresses that these proposed changes would favour early game combat, which could lead to fewer players being present for the end-game scenario. The team assured that they would be looking at additional data to make further tweaks, if necessary. Lastly, the developers reiterated that any of the changes during the public testing would not be made active until applied to the live servers. With all the changes announced, it should be interesting to see how the new improved Erangel map would turn out while still keeping the core experience intact. The changes to the test server would go most likely go live on 20 March 2019. PlayerUnknown's Battlegrounds is available for Xbox One, PlayStation 4 and PC while the mobile version of the game is available for Android and iOS devices. PUBG Map: Why Erangel Never Fails To Surprise You?